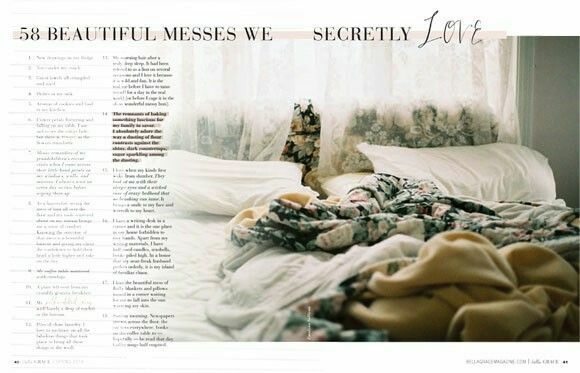 Find magic in the ordinary and explore the beautiful messes we secretly love inside the latest Bella Grace. In this issue, Annetta Bosakova trades her house for an Airstream trailer and shares her life on the road, Christina Rosalie takes inventory of life’s tiny beauties, and Kim Klassen chooses the light. Also, discover micro-blogging with the help of Instagram, 15 ways to comfort yourself when you’re most in need, and an article on The Art of Unbecoming. Discover joy in simple moments and thought-provoking prompts within the pages of Bella Grace. Celebrate the beginning of spring with the leading mixed-media magazine on the market, Somerset Studio. Learn how to give modern photography a vintage feel, turn packing material into gorgeous dimensional artwork, and artfully alter birdhouses that are perfect for spring. Also featured in this issue, the art of assemblage by Tina Walker, mail art fit for the masses, and how to create a journal perfect for trying out new techniques. The spring issue of Somerset Apprentice is bursting with wonderful artwork that is sure to inspire you. Learn the fundamentals of creating Somerset-esque artwork or simply perfect what you already know with easy-to-understand instructions and close-up photos by experts like Kristen Robinson, Cathy Bluteau, Joyce Lawrence, Stephanie Schütze, Tina Walker, and other talented artists. Successful artists share their secrets to create layered collages, mixed-media, and assemblage art, and our From the Pros section includes tips and tricks from successful artists like Crystal Neubauer, Sara Naumann, Terri Kahrs, Jenny Petricek, DJ Pettitt, Laly Mille, and others. Get the inside track on everything you need to help your creativity soar with Somerset Apprentice! Somerset Digital Studio showcases digitally-created scrapbook pages, manipulated photos, and much more of the best digitally created artwork around. This breathtaking publication will have readers joining in this growing trend of creating digitally altered artwork in no time. From photo-editing apps to the greatest Photoshop techniques, our Spring 2016 issue is filled with art from a diverse group of talented artists that share their secrets about creative mobile photography, how to use filters, liquefy, burn, and many more great techniques. We’re thrilled to be featuring the extraordinary work of digital artist and instructor Sebastian Michaels, who has taught his acclaimed Photoshop Artistry course to over 11,000 students worldwide. Also in this issue, artists Jeff Sullivan, Jane Long, Ingrid Pomeroy, Rebecca McMeen, Donna Goar, and other favorites share new techniques and beautiful art. This full color 144-page magazine contains captivating feature articles, a full gallery of digital eye candy, a digital dictionary, software comparison chart, digital tutorials, and more. Jump on the digital bandwagon! If you’re looking to take your jewelry making to the next level, you won’t want to miss the spring issue of Belle Armoire Jewelry. Within its pages, you’ll discover a sculptural avant garde assortment of jewelry made from copper sheet metal with patina by Flora Davis, Shelleen Weeks’ playful spin on hammered metal owl necklaces, and a macramé collection by Cooky Schock. Expand your knowledge of advanced jewelry making techniques with tutorials on soldering silver heart jewelry, making polymer clay beads, and enameling small pendants for necklaces and earrings. Plus, be sure to take a look at a how-to for working wire to create whimsical rhinestone crown pendant necklaces. As the sun begins to melt away the icy winds of winter, get ready for a beautiful new issue of Take Ten. In one of the most colorful issues so far, see an array of lovely design challenge cards, watercolor pencil cards by Kris Lancaster with cute forest animal stamped images. Don’t miss Guest Artist Susan Rodgers of Stampin’ Up! and full-color articles with quick and easy techniques. We’re giving away a brand-new March issue to three lucky winners. To enter, pin your favorite image and comment below with the pin’s URL. Winners will be randomly selected for our magazine giveaway and contacted via email. Contest is open to U.S. residents only, and ends 3/31/16 at 11:59pm PST. *$5 off coupon code applies to purchases of any of the following (Spring’16) issues only: Belle Armoire Jewelry, Bella Grace, Somerset Apprentice, Somerset Digital Studio, Take Ten, and Where Women Cook. Coupon cannot be combined with any other offer. Discount code can be used only one time per customer and expires 3/31/16. Categories: Artful Living, Contests and Giveaways, Digital Art, Glimpse Inside And Sneak Peeks, Jewelry Making, Mixed-Media Art, Stamping. Tags: Bella Grace, Belle Armoire Jewelry, coupon, Giveaway, new issues, New March Issues, Somerset Apprentice, Somerset Studio, Take Ten. I love Bella Grace. It’s like a vacation for my spirit. Belle Armoire Jewelry – I love the designs and inspiration I find there! Would love to see how Bella Grace has evolved since it’s premier issue, which I still reread! https://www.pinterest.com/ewert0479/diy-ideas/. love the digital art and Bella Grace, beautiful magazines! I never miss an issue of Bella Grace! I have bought several of your Somerset Studio issues and liked all of them. Somerset Studio — have piles of supplies and found objects in studio and storage just waiting to be converted and shows coming up this summer! All of your editions are over the moon wonderful! It’s always so hard to choose so I usually end uphttps://www.pinterest.com/pin/169025792242718837/with several! And I covet them all! Thank you for the chance to win a new issue! I’d love to have this magazine! Is it new? Summer set Studio is one of my favs of your magazines but really Apprentice is awesome too and Art Journaling as well. I just want them all. http://www.pentrest.com/pin/ hmm on iPad and can not figure out how to post the url of the pin. Oh well . I love Belle Armoire Jewelry! While I love Take Ten (have every issue), Somerset Studio and Somerset Apprentice…Bella Grace speaks deep into my heart and soul! I love all the super creative jewelry in your magazines. Love the cute owls. Beautiful use of color to enhance negative space – and, of course, birds! Somerset Studio has to be my favorite magazine. This photo looks so inviting, especially since it’s 2 a.m. and I can’t sleep. This looks so inviting, especially since it’s 2 a.m. and I’m stuck on an uncomfortable studio couch. I love Somerset Apprentice! thanks so much for the chance! Would love to read this whole article! Thanks for the chance to win and the inspiration. I love standing in line at Michaels and Joanne’s because I get to brush through your beautiful magazines. I like to flip through them at Michaels too! I’m always showing my friends my favorite articles! I love Somerset Studio, Altered Couture, Where Women Create, Where Women Create Business…most all of them! I like them all! My favorite reading material.